Aaaand, we’re back. As promised, I was gone for November so I could participate in NaNoWriMo 2016, and in my absence, I got more traffic than I have in a long time. Whatever, NaNoWriMo is done and now I get to tell you all about it. This was my first time with NaNoWriMo (man, that is obnoxious to type) because this was the first time I had an idea. For the unfamiliar, National Novel Writing Month is where you write at least 50,000 words in one month, about 1,700 words a day, approximately 3-4 pages. Every day. I’m proud to announce that I completed this goal on 11/17/16. I ended up finishing the book with about 76,000 words. It may seem like bragging, but this is actually a shoutout to God. Never before have I worked this hard, this fast, this consistently, nor in this genre (contemporary Christian fiction). The idea came at the perfect time, road blocks evaporated almost on their own, and ideas came to me at all times. Plus, you know, I was unemployed. Only God could have arranged it this way and I’m grateful for the opportunity and for the help in finishing the book. Well, some details must remain a secret for spoiler sake. However, if you’ve been following my blog for any length of time, you know I have a few…qualms…with Christian fiction, or more precisely how the weakest stories are heralded as paragons of fiction simply because they’re squeaky clean. I recently wrote a piece lamenting the fact that Christian books have no grace for characters who don’t solve all their problems by the end of the book. So, I wrote a book about a couple characters with problems that can’t be resolved in 300 pages. What problems? You’ll have to read it to find out. The point of the book is grace. You will never get it all perfect, no matter how long you’re a Christian. And you don’t have to. But Christians have a double standard on this in the church. Grace is enough…but if you’re doing this or not doing that, we want nothing to do with you. I mean, if you were a real Christian, you’d fix that problem. My protagonists, Sarah Willow and Beverly “Bevy” McGruff are two women in the church who couldn’t be farther from perfection. While their issues are different, they’re equally taboo, so they must hide, walking together to find healing when they can and grace when they can’t. Perfect people don’t exist in the church, only pretenders. The story is about being real when real is ugly, scary, or simply unpopular. Each woman must find courage to be authentic and steel themselves against the backlash of religion. And no, it will not happen without consequences. This is my first real attempt to write not only a female main character, but an almost entirely female cast. In fact, I can count a grand total of five men in the whole story, only one of which has any real significance. How well did this male write a female cast? Well, time will tell. However, the story worked better with a female and most Christian fiction readers are females anyway, so hopefully it hits home! Now…I leave it alone for a while. 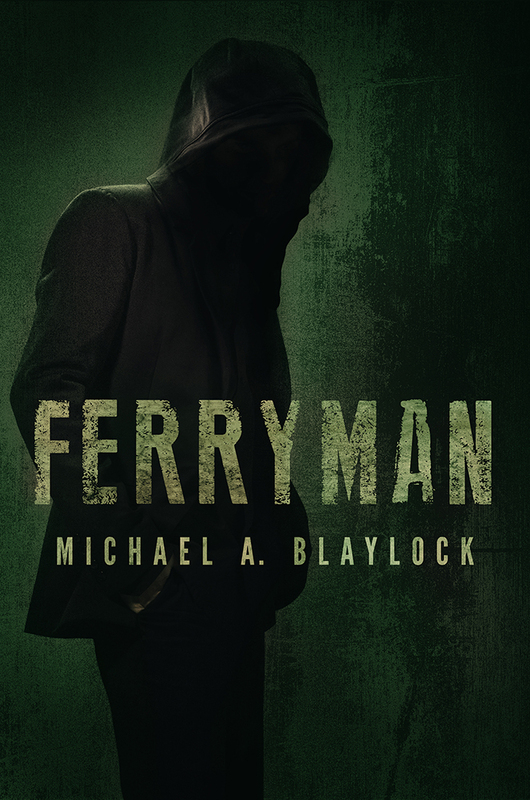 Ferryman will be back from the editor soon and that’s my top priority at the moment. However, I won’t forget it. I believe in this story and want to go back to it, either in a few weeks or in January. Once it’s had a few drafts and edits, I’ll send it to Christian fiction agents and publishers and we’ll see how it works out. If you want to read the first chapter, click here. If you want updates on this story as they come, or on Ferryman, or other bits of news or writing, subscribe to my newsletter. You’ll even get some things before anybody else does! A WRITER MUST DO..WHAT HE HAS TO DO…BUT WE’LL BE WAITING!!! Christian contemporary fiction! Very cool! I don’t see a ton of that around WordPress. Good on you! And congrats on conquering NaNoWriMo. Best of luck with your work! Thanks! It’s a common genre in the real world, so breaking into it will be difficult. Still, I had a story, so I wrote it. That’s how I go.